Fair-Rite’s Flexible Ferrite Sheets provide the benefits of soft-magnetic materials, while freeing you from their mechanical constraints! These materials are composed of NiZn to provide high-volume resistivity and high insertion-loss over a broad frequency range. Available in six material grades and four standard thicknesses as thin as 0.13mm, these RoHS compliant sheets come “scored” in a 2mm x 2mm rectangular grid. The recommended operating temperature is -40º to +85ºC and the typical thermal conductivity is 6 watt / m-ºC. Storage Temperature : -40º to +85ºC, suggested shelf life is one year; however shelf life may be extended by storage at 22 – 25ºC and 45-55% RH avoiding light and dust. With its PET backing, it can bend without impacting performance – making it easy to conform and adhere to any surface for improved functionality. Used primarily for suppressive applications, the amount of noise that is absorbed at higher frequencies is proportional to the resistive component of the permeability (μ’’) and the thickness of the ferrite. 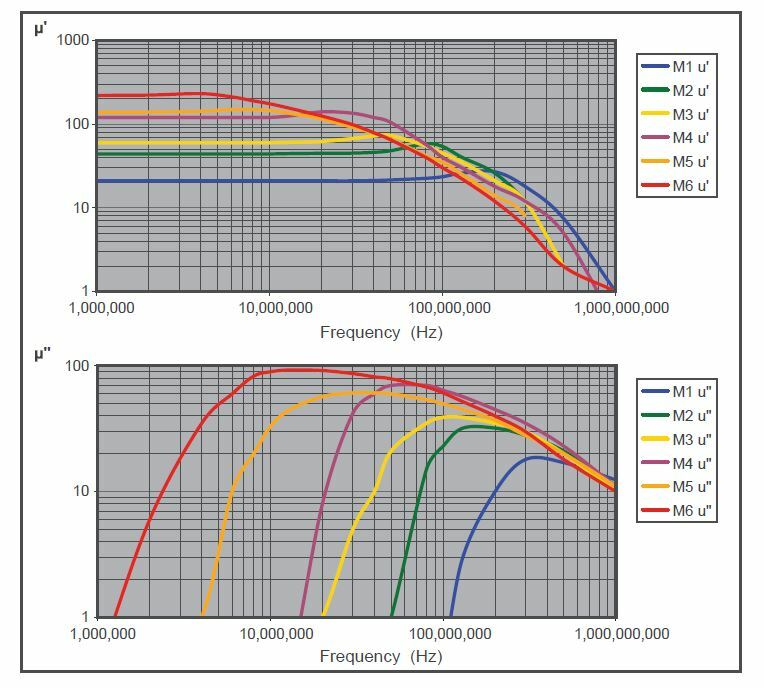 The operational frequencies can range from below 1 MHz into the GHz range, making it ideal for a multitude of applications. For more information contact one of our engineers HERE or to request a sample, click HERE.